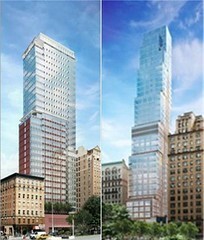 Ariel East on Broadway is new condo next to the famous landmark Metro Theatre. This jewel of a neighborhood movie house gained landmark status because of it's handsome glazed-terra-cotta Art Deco facade and beautiful neon marquee. Unfortunately only the outside of the building has landmark status. The inside space is currently available for rent to a store. 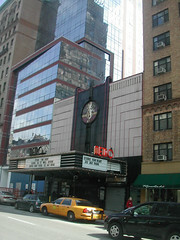 The theatre is nestled between two high rise buildings. The new 37 story glass Ariel to the north and the 17 story 1930 Art Deco co-op The Trafalgar at 233 W. 99th Street to the south. Avalon Morningside Park a new rental building at One Morningside Drive and 110th Street, a 2 story glass entrance with 296 units. In 4Q-06 the average price per square foot in Tribeca was $1,332. Most spaces in Tribeca are lofts. NYU and the art schools are in the village. 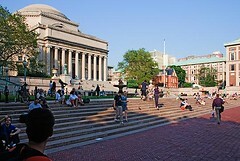 Columbia is Ivy League, it has been there for more than 300 years. New York was a colony. 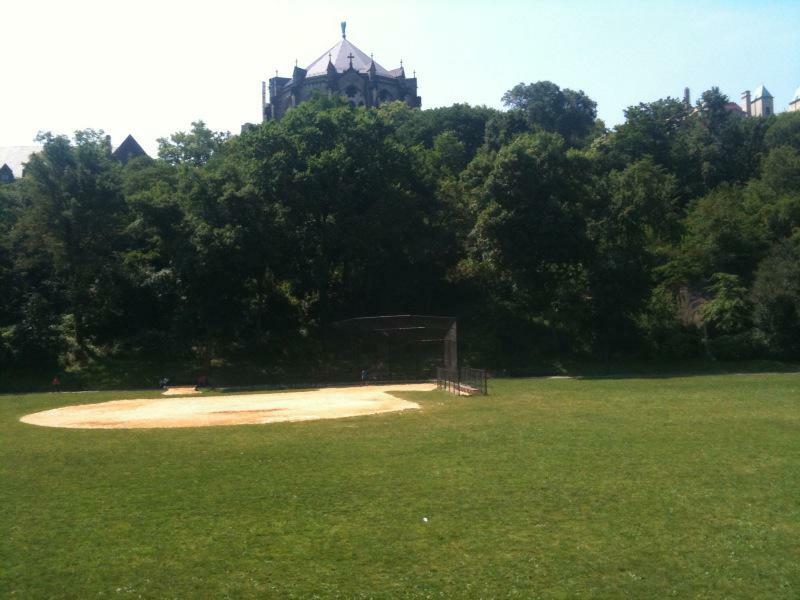 John Jay is on 11th Ave at 60th St. Where Clinton ends and Upper West Side begins. 11th Avenue becomes West End Avenue at 60th street. I walked by it yesterday. Why do you say "unfortunately the theatre has landmark status". What makes a neighborhood great is it's past history and historical buildings, even if only it's facade. Learn about Art Deco preservation efforts around the country and perhaps you will realize understand how lucky you are to still have the marquee in tact! I said: "Unfortunately only the outside of the building has landmark status". I believe the inside should have been saved as well. The interior had recently been restored, was revived as an art cinema and now it is going to be gutted and divided into a drug store and or a supermarket. The Art Deco buildings in Palm Beach are gorgeous and they are being utilized in an arts capacity. I've been a supporter of Landmark West and the Municipal Art Society for the past 20 years. Yes, we are lucky that the building can not be razed. My point was that it should remain as a theatre or at least keep the integrity of the original use. Having a neighborhood theatre particularly a beautiful one also makes a neighborhood great. Mitchell all I can say is that I alway look forward to your post and the tour you give of the NYC area. I get the sense you are really into history. You are someone I can reference as a person who really knows his market place. If I get questions about the area I will certainly refer people to your blog. Thanks again for the time effort and thought you put into each post. Thanks Jennifer, I appreciate you stopping by and your nice comment. A further correction on John Jay. I actually live diagonally across from it and the main entrance is on 10th between 58th and 59th although they do have the back lot which they seem to be building on 11th. 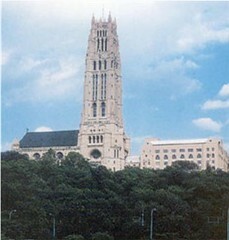 I'm adjacent to St. Lukes Roosevelt hospital. 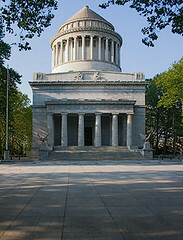 I have to say that John Jay's main building had wonderful architectural detail at roof-view level. Living across and appreciating its lit-up roof at night is fantastic at eye level just across from it. It's like living across from a beautiful British stately home. That's the problem with new architecture -- the lack of ever building anything truely distinctive anymore. It's important to treasure these landmarks. That said, I'm glad that the new buildings will revitalize the economics of the west side--as long as they don't tear down great old buildings, get too high in the sky, or monopolize the look of New York City I guess it's OK.
Hi A.R.T. Thanks for stopping by and correcting me. Yes John Jay is on 10th Ave and it is a very beautiful building. There certainly are a lot of new glass tower buildings going up where you live.